University of New Mexico Press, 9780826341891, 368pp. Diagnosed with Hodgkin's lymphoma three weeks after his thirtieth birthday, Juan Alvarado Valdivia finds himself immersed in Cancerlandia--oncology appointments, waiting rooms, and chemotherapy infusions at San Francisco General Hospital. Afraid that the illness will destroy his fledgling relationship and writing aspirations, Alvarado Valdivia tries to lead a normal life. He bikes three miles to his treatments while listening to heavy metal, attends writing workshops, and continues his hard-partying ways. When his girlfriend Paola ends their on-again, off-again relationship after a particularly troubling episode of binge drinking, he begins to acknowledge his anger and alcohol abuse. 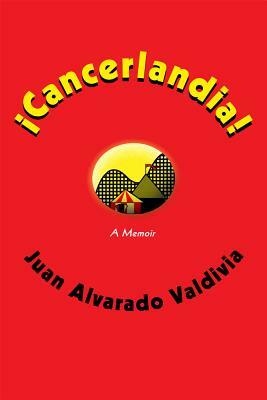 Comic and unsparing, Cancerlandia chronicles Alvarado Valdivia's journey as he not only fights to survive his personified adversary, Mr. Hodgkins, but also struggles with his own self-destructive spirit.